The old adage of Bitcoin mining being a reserve of the elite and well-financed organizations is quickly changing. Cloud mining companies such as Hashing24 are changing the game to enable individuals to benefit from mining Bitcoins without having to spend a fortune. It goes without saying that with a cloud mining company that offers you all the perks of a large scale data center with state-of-the-art computing that allows you to monitor straight from your phone or laptop is a deal of a lifetime. This is exactly what Hashing24 promises to deliver – and more! With headquarters in Scotland, Thailand, and Ukraine, Hashing24 is a Bitcoin mining company founded by David Martin, a man with a verified history of honesty and integrity. It has been constantly exploring the crypto currency market since 2012, boasting a team of experienced and professional experts that are ready to share their knowledge with the world. By continuously testing and evaluating partners in the market to identify top notch mining power suppliers, Hashing24 has established a reputation for performance. In fact, its mining power supplier is BitFury (a renowned industry leader). And if BitFury’s well-trusted reputation is anything to go by, Hashing24 is clearly one of the top cloud mining companies to choose from – no doubt about that! So, with that being said, if you are going to consider Hashing 24 as your choice for cloud mining take a minute and go through some of the benefits you will enjoy if you go with them. You will be glad you did! We all know how complex Bitcoin mining can get, so let’s not even get started with the technological processes required to set up a simple data center. But hey! Cheer up. You can simply get a mining plan with Hashing 24 that gets you sparkling brand new Bitcoins within you’re the first 5 minutes of signing up. Yes, that's right; Hashing24 claims that it works with a team of professional partners that make this a reality. With a no-time contract, getting your feet wet with Hashing24 is easy and stress-free, and that’s why it stands out from other cloud mining companies in the market. By allowing unlimited access and offering legit mining, the whole process gets to be pressure-free. The one drawback of mining Bitcoin is the need for maintenance and setting up of hardware. This is where Hashing24 shines. It handles the entire infrastructure department so that all your attention and energy can stay focused on mining. What’s more, they even compensate you in the case of a downtime in the data center. Now, that’s what we call a good deal! Apart from hardware maintenance, electricity is another part of Bitcoin mining that normally gets in the way. Luckily for Hashing24 customers, the electricity prices are one of the best. In fact, as a client for Hashing24, you get industry equivalent rates with discounts on large contracts. 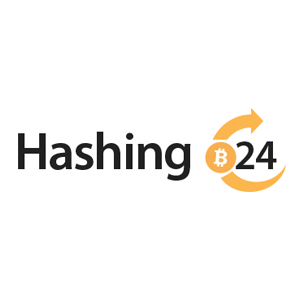 Hashing24 believes that the best investment in Bitcoin mining is to constantly add value to the bitcoin blockchain. For that to happen you need to have the best hashing power in the industry so as to avoid speculators who mostly raise hashing prices. That is how Hashing24 is able to provide affordable hash power to its customers. Well, there you have it; 5 benefits that Hashing24 brings to the table. We also thought it’s wise to bring you some frequently asked questions about Hashing24. Check them out. If you are searching for a way to mine bitcoins without necessarily investing too much on infrastructure, then Hashing 24 can be your ideal partner. It is a cryptocurrency mining company that was created in 2012 to help newcomers as well as professionals in the industry who want to benefit from state-of-the-art mining resources. 2. How does mining work on Hashing24? – A fee for daily maintenance of the equipment and for the supply of power. – There is also a one-time payment for allocation of power. You can, therefore, go for the one-time payment that still gives you unlimited hash power with no time restriction. The cost is deducted directly from the Bitcoins mined into your account with the help of currency exchange rate of BTC/USD. This can fluctuate depending on the exchange rates. The cost is deducted directly from the Bitcoins mined into your account with the help of currency exchange rate of BTC/USD. This can fluctuate depending on the exchange rates. 3. Will I make profit with Hashing24? Frankly, it is hard to predict these influences, but Hashing24 payouts are generally based on the network's hashrate. Apart from a 100%uptime guaranteed, Hashing24 recommends that you do thorough research to come up with an earnings estimate. Also available is a calculator tab on the website that helps you easily calculate your earnings. 4. What time does mining begin? At exactly 00:00UTC mining begins automatically without delay. Customer’s balances are updated on a daily basis with mined Bitcoins. In the case of any problem, you can contact the customer care via their email or fill a form on the site. 5. What does the maintenance fee include? 6. How do I earn? Every day new BTC are created and on every mining activity, your new Bitcoin will be sent to your account without fail. The minimum withdrawal fee is 0.002 BTC and you are granted the freedom to make withdraws at any time you want. 7. How do you make a withdrawal on Hashing24? First of all, before starting your withdrawal process, keep in mind that the minimum amount to withdraw is 0.002 BTC at the time of this writing. Here is a simple procedure for withdrawal. 8. Why is the withdrawal amount less than I requested? As usual Bitcoin transaction requires that miners confirm and process every process, and it is this fee that is deducted from your withdrawal amount. Hashing24 is constantly working to minimize the fee required for successful transactions by combining withdrawals from customers into one large transaction so as to split the overall percentage among them based on the amount withdrawn. 9. What factors influence the payout amount? Obviously, there is a limited number of Bitcoins that can be mined and distributed. The difficulty of mining Bitcoins is increasing with every single new Bitcoin mined. As we advance, every mining operation will require more time and resources. This will affect your payout with Hashing24. Apart from the increasing difficulty of mining Bitcoins, another factor that will influence your payout is the BTC/USD exchange rate. Since the maintenance cost is paid in USD, Hashing24 will have to consider the Coindesk BPI closing price and the higher the price of bitcoins. 10. What happens when I lose my password? – This will prompt the system to send you an email with more easy to follow steps to help you restore your account.